Most of us have an appreciation for one or the other type of art. We may not all have the same taste or preference or even opinion on what we consider to be art. Whenever I see Roger Federer play tennis I am always reminded of how he has transformed the game of tennis into an art form. The grace with which he moves around the court and slides in behind a ball is music in motion. The way he proceeds to gracefully and with deceptive power deliver a blow to his opponent across the net is mesmerising to watch. What he does is pure art and that is a fact. 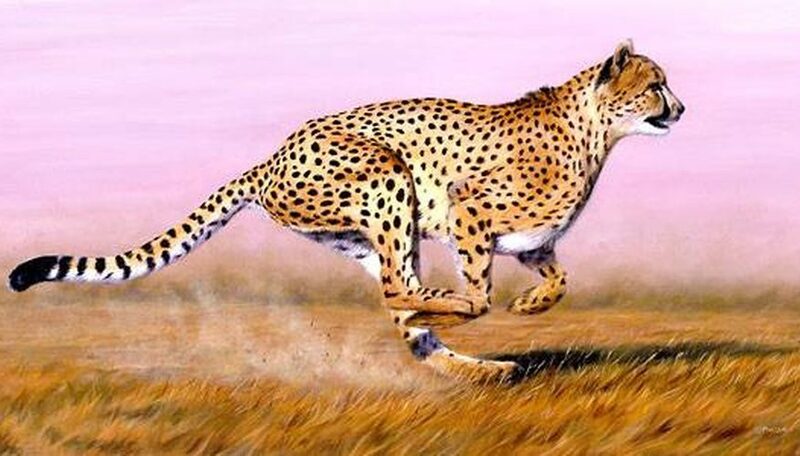 I am reminded of the movements of a cheetah across an African plain. Once again it is pure art in motion. Now compare this to the way that a hog moves, eats and falls flat on its belly in a pool of mud. Not exactly beautiful to watch is it? Don’t get me wrong, hogs have a purpose but their purpose probably don’t involve the fine arts or the appreciation of something that is stimulating to the senses and aimed at inspiring us to greater heights, no matter who we are or what we do. Submitting a visa application is more or less the same. If the author is a skilled immigration expert with sound knowledge of policies, procedure and an inclination towards great writing and persuasiveness, the end product will be a brilliantly compiled piece of art that will transform something that is repetitive and boring by nature into a Roger Federer art and music in motion event. Don’t get caught out by the impression that a visa application consists of a bunch of documents stuck together and submitted like the form you complete at your favourite fast food outlet so you can enter the darn competition, get the attendant off you back and your bag of food in your hand. This is something totally different. Any skilled immigration lawyer or adviser will tell you that a really good application is a meticulous process of getting the necessary facts and documents together. It’s about presenting that specific client’s life story in such a way that it highlights their most inspiring moments and tells a story about a person who wants to contribute to this society with passion and purpose. Every single application is a unique peek into the world that the client holds dear, and explains their life journey with compassion and vehemence. So, what if the client doesn’t have the perfect story to tell? This is where an immigration specialist will move up a gear. It’s all about transparency and once again laying all the facts on the table. This includes the facts that the client won’t see as important or relevant to the application. Understanding the consequences of answering a seemingly simple question and being prepared to explain and justify, is of utmost importance. Digging deeper to unearth that diamond in the dust is what it is all about. The secret is to anticipate what may come as a result of the application that will be submitted and to plan and be ready for every eventuality. The ability to reason with conviction and persuasiveness is a skill that comes with time and experience. It is not to be doubted that a very sound knowledge of the cans and can’ts of the industry is paramount to the success of the application. Having dealt with similar types of circumstances before is the best preparation and not something that a client is geared for. Good immigration lawyers and advisers are. Their knowledge and abilities transform any application into a graceful, persuasive and mesmerising piece of art that will convince the most stubborn critic that it is art. It is beautiful to read and easy to agree with. Now compare this to an application that was hastily slapped together by someone who knows nothing or very little about policy and the cans and can’ts. Perhaps this someone is emotionally charged because of the importance of the application. Likely this person is not thinking clearly or able to deal with comebacks or rejection. Comparing the cheetah to the hog clarifies the matter at hand, doesn’t it? We have been in the industry since 1996 and have developed a bit of a reputation as a go-to law firm for immigration work. We have seen a lot and have lived through a lot of change. We have created many exquisite pieces of art and will continue to do so for a long time to come. You can visit our website at www.laurentlaw.co.nz or contact us at +64-9-630-0411 to make an appointment. This entry was posted in Business, Citizenship, Immigration Appeals, Immigration Industry, Immigration Problems, Immigration Visas, Politics, Practice of Law, Refugees. Bookmark the permalink.